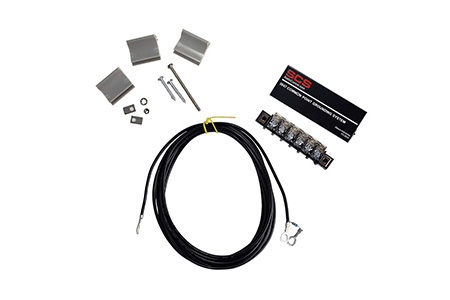 ANSI/ESD S20.20 “Grounding I Equipotential Bonding Systems shall be used to ensure that ESDS items, personnel and any other conductors that come into contact with ESDS items (e.g., mobile equipment) are at the same electrical potential” SCS offer a comprehensive ranges of grounding hardware for each condition. 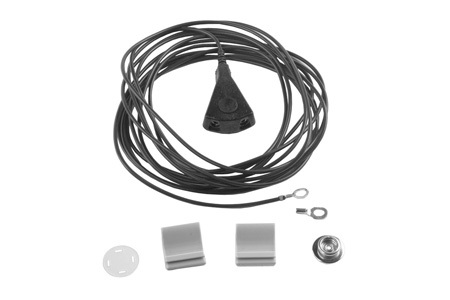 Ground cord, 15 ft. (4.6 m), with 10 mm snap. 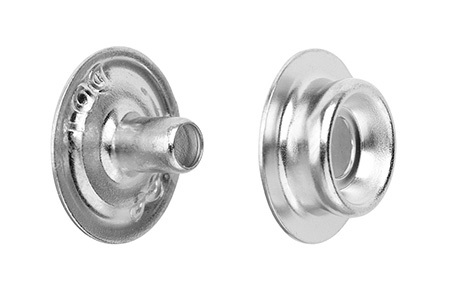 Molded-in male snap fastener with integral one megohm resistor on one end, solderless terminal on other. Connects all Static Control Mats and Runners to building ground. 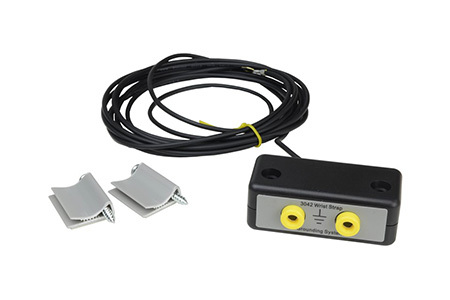 Common Point Grounding System, 10 ft. (3 m) to ground workstation components. Single-row, six-terminal strip, protective cover, three cable clips. Ground cord has a one megohm resistor. 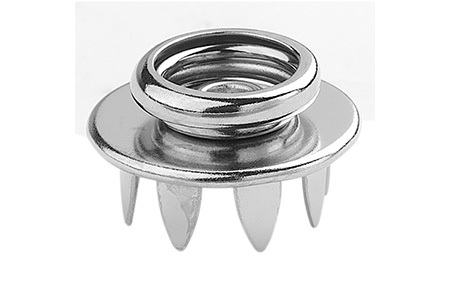 Easily snaps onto mats and runners, (10 mm snap); grounds two single conductor wrist straps. 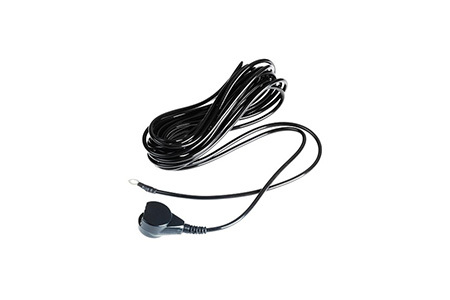 Comes complete with ring connector and 15 ft. (4.6 m) ground cord. 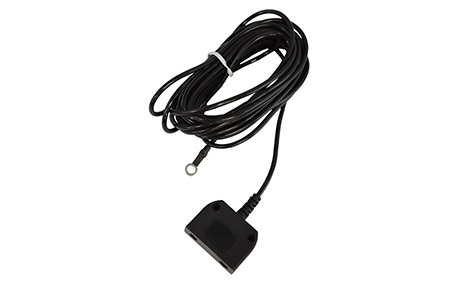 Ground cord has a one megohm resistor for mat connection only. 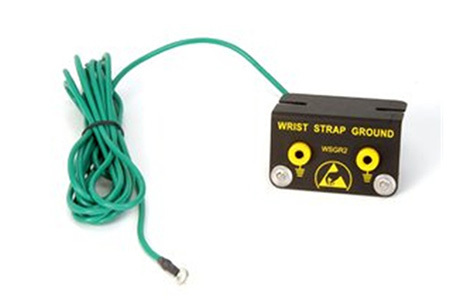 The Metal Grounding Block accommodates two wrist straps and comes complete with mounting hardware. Designed to be mounted under the bench and keep the wrist strap connections safe. 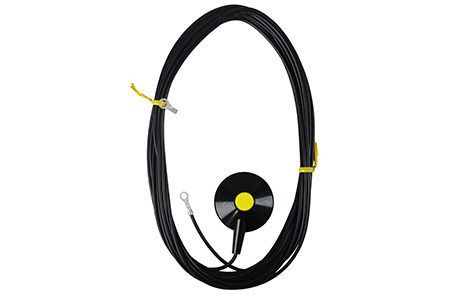 The integral 15 ft. (4.5 m) cord ends with a ring terminal. 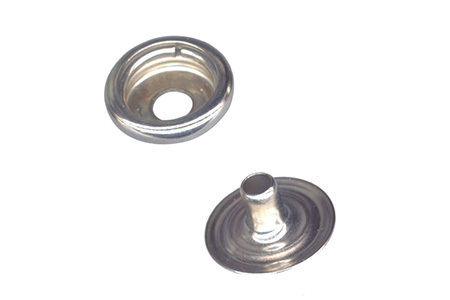 Snap Fastener for mats and runners. 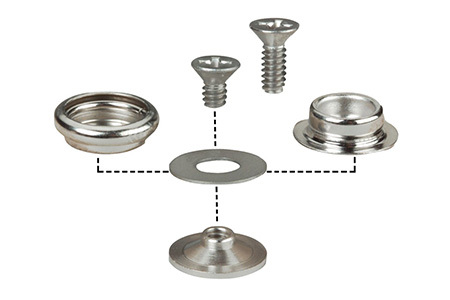 3/8″ Male snap and eyelet.